Perfect for slipping on this summer are the Lotus Doyle sandals. 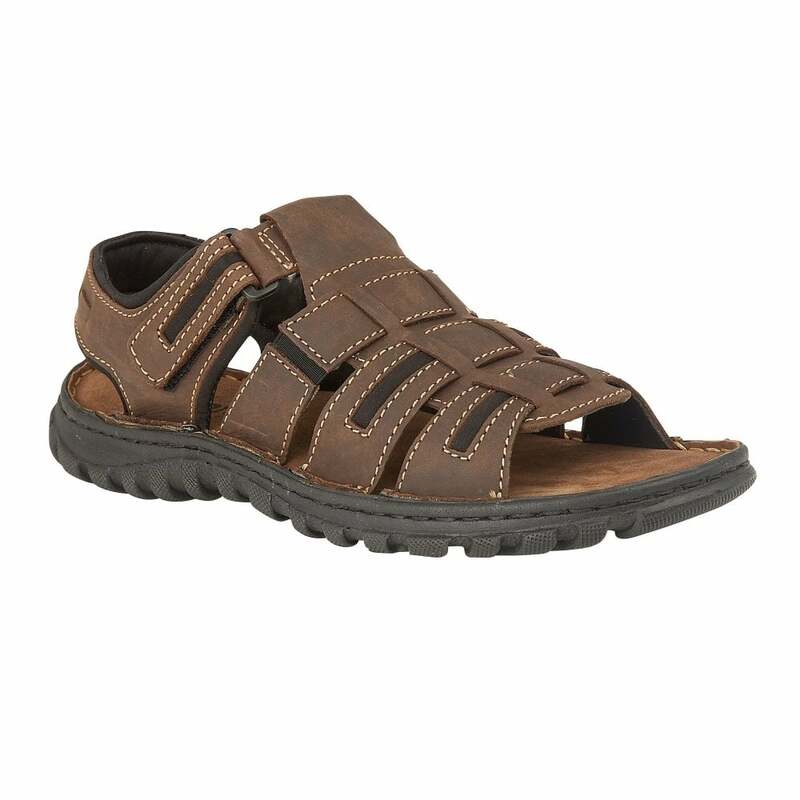 This men’s open toe sandal is exceptionally wearable due to the padded ankle collar, the adjustable Velcro strap fastening, the cushioned footbed and the practical cleated sole unit that enhances underfoot grip. Contrast stitching is applied to the brown synthetic upper that has interlinking strap detail and discreet elasticated panels to aid getting them on/off with ease.